OverviewHelp Dora find her way home in time for her birthday party. Now you can add videos, screenshots, or other images (cover scans, disc scans, etc.) 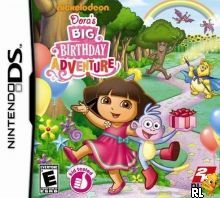 for Dora's Big Birthday Adventure (U) to Emuparadise. Do it now!